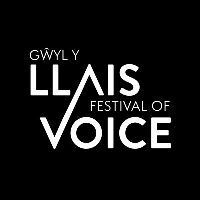 Cardiff’s international arts festival, Festival of Voice, returns this year for its second instalment. Encouraging a spirit of discovery, the festival will include one-off events, unique collaborations, community participation projects and powerful voices from music and the arts, both locally and internationally. The first wave of announcements includes an intimate evening with legendary American musician, poet and activist Patti Smith in the beautiful St John’s Church. The following day, Patti takes to the main stage at Wales Millennium Centre for An Evening with Patti Smith.